My own interpretation of the world of HR chock full of charm and snark for your reading enjoyment! I am SO sorry! I owe the internets an apology… I lied to you!! I told the whole world that registration for #ALSHRM16 closed on May 3rd and it DID NOT!!! Registration is set to close May 11th-I promise I’m telling the truth this time! So far over 400 HR professionals have registered for this conference. All with the anticipation of great content and lots of re-certification credits. I also have another confession. Tim Sackett won’t be there after all. Not because he was kicked off the schedule (I know some of you were thinking that), but for legit reasons beyond everyone’s control. While we will miss Tim greatly-he is our favorite recruiter after all, we are SUPER pumped that Laurie Ruettimann will be taking his place! See you in Birmingham on May 17th!!!! The most bang for your conference buck! I’m so thrilled to tell yall I’ll be at #ALSHRM16 this year!!!! <– all of those exclamation points should seal the deal. Why am I so excited? I’m so glad you asked! The Alabama SHRM State Conference was the first conference I ever attended. I was mesmerized by this huge group of professionals who worked in the same field I did. I didn’t know there were so many of us nor did I know there was a place close to me where we could all get together. I had the best time at the state conferences, but a few years ago I willingly gave them up. I was losing interest in the agendas and none of the keynotes caught my eye. The food and venue were becoming boring. The takeaways no longer relevant to where I was in my career etc., etc.. Until last year. Last year a couple of HR professionals I know were conference co-chairs and I listened for months as they excitedly shared the agenda information, upgraded venue, fun events, great giveaways, time left for networking, etc. etc. I thought to myself, good for them! Somehow I landed a spot to speak on day one of the conference and decided to volunteer on day two of the conference so I could stick around and see what was happening. Y’all… this conference blew me away! The signage was so professional, the volunteers on their game, the keynotes knocking it out of the park. Bobbi and Melissa (conference co-chairs) really shook things up. Guess what? They are at it again! They have an AMAZING line-up of speakers and topics to fit a variety of career level needs. In true HR fashion, day one will kick off with a much NEEDED legal update, followed by Marlin Smith presenting “Black Guy in the C-Suite,” and closing out with (what I know will be entertaining) “Generation Them,” from Kristin Scroggins. Tuesday night is also a great time to kick back with some of your new favorite HR Pros and have a good time. Wednesdays agenda takes it to the next level with opening keynote from Chuck Blakeman, lunch keynote from our dear friend Tim Sackett, and a closing keynote on HR improv! The concurrent sessions offer topics from background checks to strategic leadership.Some of the best vendors in the HR sphere will be there to meet with us in between these awesome sessions. Author Kristina H. Minyard, SHRM-CP, PHRPosted on April 25, 2016 April 24, 2016 Categories UncategorizedTags #alshrm15, #alshrm16, ALSHRM, HR conferences, HR keynotes, HRCI Certifications, Professional development, SHRM, SHRM Certifications1 Comment on The most bang for your conference buck! Second. They had great speakers: http://bit.ly/1EZ4DLO This group was A-M-A-Z-I-N-G! I heard at least a bit of everyone’s presentation and everyone did fabulous! I was so impressed with this line up of speakers. Third. 10.25 recert credits! They even had some strategic AND global recert credits! Day 1 was a shorter day and it had three great general sessions! Broc Edwards closed it out with a killer challenge to a room of 300 or so HR professionals to be BOLD! During day 2 (now up to over 500 attendees) of the conference the halls were buzzing with excitement. So many people were pumped and ready to accept the challenge of being bold. All day long during day 2 professionals were bouncing from great session to great session with enthusiasm and excitement that we all wish we could have every single day on the job. What I loved the most was overhearing all of the positive comments from attendees. It was refreshing! It felt like we were all in this together and that we could all make a difference together. Okay, seriously, I know that was a lot of tweets, but its only a sample! 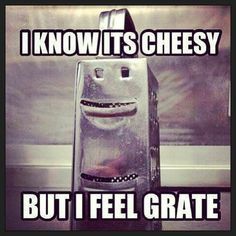 Go search the hashtag #alshrm15 for more and to find some GREAT HR PROFESSIONALS to follow! What do you think about these takeaway tweets? 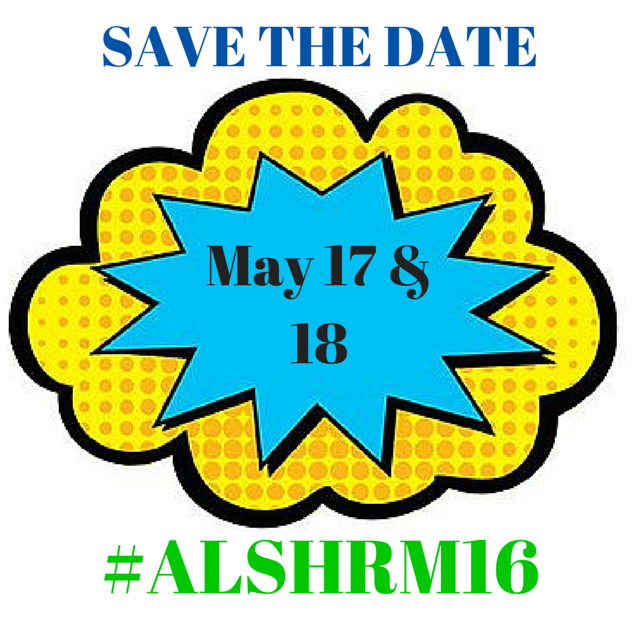 Go ahead and mark your calendar for #ALSHRM16 because I hear its going to be even better!! A huge thanks to our conference co-chairs Melissa DeVore & Bobbi Wilson and their committees for pulling off such a great 2 day conference, allowing us HR pros to connect with each other, learn from each other, and recharge! Best State conference I’ve been to in years and I cannot wait to do it again next year! Would your employees hire you? Who do you really support? hrpockets Create a free website or blog at WordPress.com.